I guess it comes as no surprise that I am writing this article on how to stop clutter with 10 simple habits. After all, I am constantly telling you that to eliminate clutter you need to change the way you look at your things. And in order to do just that, you need to change your habits. Habits are a funny thing. They can dictate how we eat, how we get dressed each morning, how we approach a problem, how we shop, and yes even how we keep our homes clutter free. If you change your habits, you can change your entire life. Let’s think about it for a minute. A habit is such a small and insignificant thing. So realizing that you can change your entire life just by changing your habits is like saying you will lose all your weight by cutting out soda. And to be honest, both statements are absolutely true. Sure, you can lose weight by cutting out sugary drinks. Maybe not ALL of the weight, but it is definitely a significant way to get started. And let’s not forget that cutting those drinks is not the ONLY step you need to take, but it is a step in the right direction. And the same is true with your habits. It’s not the only step you need to take, but it is a step and a pretty darn important one. If you remove all the clutter in your home right this second, yet still have a habit of dropping things rather than putting them away. Your home will soon be the cluttered mess it was before. Change those habits and you can kiss the clutter goodbye. So what are the habits that will help you stop the clutter? That’s why I am here, after all, to lay it all out right here for you. So you can take this very crucial step towards kicking the mess to the curb and finally have the home you have always dreamed of. A home that you love to be in rather than a home you have to be in. A home that oozes peace, comfort, and coziness. No, it’s not a pipe dream. 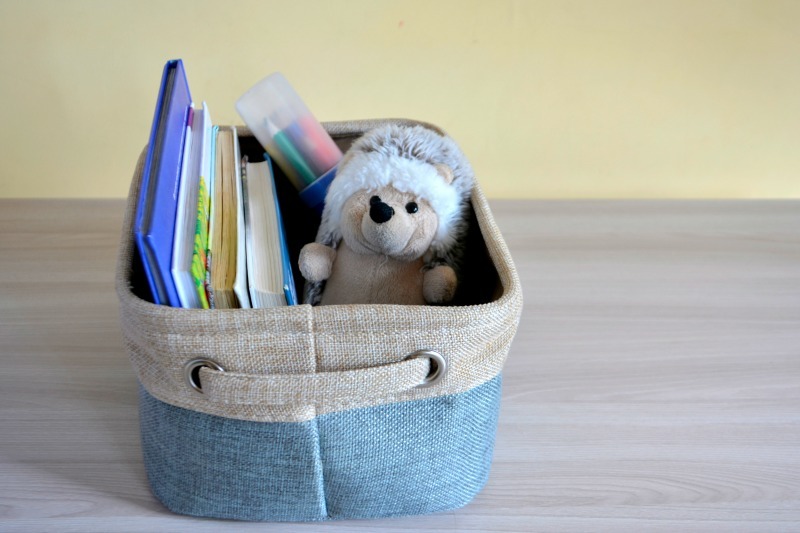 And yes, you can do it……all by adopting these 10 habits of a clutter free home. It’s no secret that clutter is a disease. And to fight off any disease you need to do daily things to arm yourself and your home. That is where daily purging is a game changer. Years ago I had more clutter than home. There were so many things scattered around that I began to purchase extra furniture just to house it all! I had piles everywhere covering just about every surface. Cleaning it out took a while, and even now years later, I am still purging. I like to always keep one eye open for clutter so it cannot sneak up on me again. The best way to do this is to keep a donation box out at all times. And not just one either. I have several strategically placed in my home. They are there so I can toss in any items I want to remove quickly and easily without fanfare. It is important to not make a big deal about it, just pick up the clutter, walk it over to the box, toss it in, and move on with your day. Temporary clutter is just that. Clutter that shows up as the day goes along. This clutter does not need purging but rather, simply put away. This is where my super simple tip of utilizing catch-all baskets comes into play. If you have baskets strategically placed throughout your home you will keep clutter from piling up. So, rather than spending all day putting things away as you see them, you can instead toss them into that room’s catch-all basket. When the basket if full, take the time to pick it up and carry it with you as you put everything away that is inside. This little tip is a fan favorite and for good reason. Anything that saves time and keeps clutter from piling up is a good thing…a very good thing! Habit #3 Have a home for everything. Our grandmothers were right when they said, “A place for everything, and everything in its place”. When you have a specific home and keep items in their specific homes, you will keep temporary clutter from forming. If finding a home is just too much for you right now, then at least find a ROOM for that item. Even narrowing things down this little bit will help get the clutter to the right room. And that is at least a step in the right direction. Habit #4 Keep it simple silly! I cannot stress enough how important this habit is. If you have organizers in your home that require more than 3 steps to use them, then you need to let those go. Boxes with lids are pretty but that is just too many steps for a clutter bug. We need simple solid systems so we can drop and go. Some of my favorites are baskets, buckets, bins, and hooks. It is time to love hooks again! An organizing superstar that anyone can use, even kids. Command hooks are a game changer and can be placed anywhere. Systems are simply routines for tasks that you complete on a daily basis. By having systems set into place, you will, in turn, keep clutter away. Well, when you have a routine set up for getting dressed for example, you know that you change your clothes in your bedroom, pajamas go into the closet (on a hook), then once changed you make your bed, gather up any dirty clothes and toss them into the hamper basket, clear up the clutter from your nightstand and head out of your room. This super simple system will keep clutter from forming because you are always dealing with it. In the beginning, you will want to keep systems simple with just the steps needed to complete the task. Take it one step further and write it out so you can post it for the family to see as well. A bedtime routine for your kids posted in the bathroom will keep that room pretty cleaned up at all times. Habit #6 Have a purpose for every room. A purpose like a system is another key to a clutter free home. When you have a specific purpose for a room, you, in turn, create a rule for what items belong and what items must go. So for example, a kitchen’s purpose is for cooking, eating, entertaining, and possibly homework. That means toys, clothes, tools, magazines, paper piles, etc. should not be there. When you know the purpose it, in turn, keeps the excess out. If an item isn’t used in a room, it doesn’t belong. Habit #7 Evening pick up/mealtime pick up. 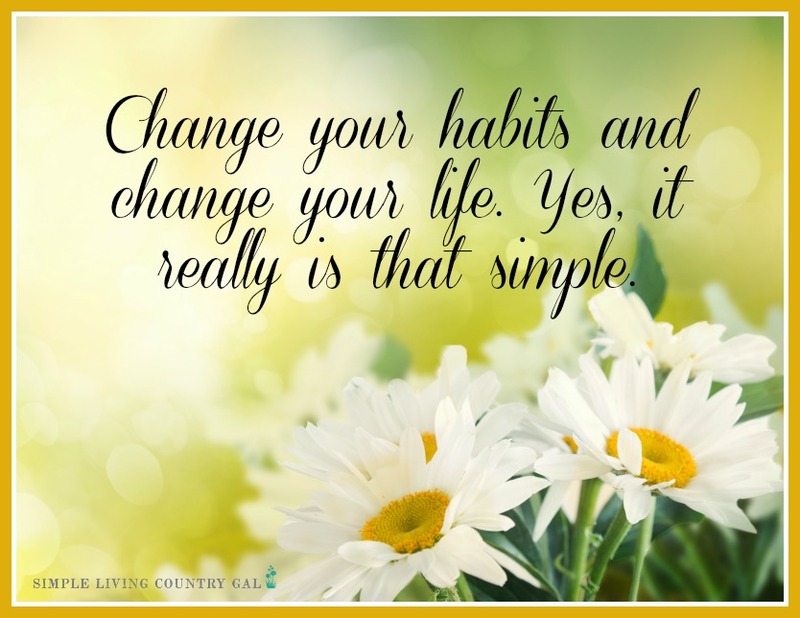 I love this habit and consider it the game changer in our home. Before I head off to bed I do a 5 minutes clean up in the family room and kitchen. These are usually the rooms that affect me the most so by picking up the clutter I can set myself up for a better morning. There is just something about being greeted with tidy rooms that makes me smile. And who doesn’t want to start their day smiling? A great tip here is to use a clothes basket to gather up the daily clutter. I love clothes baskets and I now consider it my go-to tool for clearing clutter. They can hold just about any item and a lot of it. Once full just take a quick walk around your home putting things where they belong. If you are new to this process, you may not be ready to put things completely away yet so for you get those things in the correct room. Even this small step will help you to understand the importance of the habits mentioned above. Habit #8 Sort paperwork as soon as it comes into the house. Paperwork can pile up fast. So staying on top of it is so important. Don’t let this habit scare you. Dealing with paperwork as you get it will be your game changer when it comes to clutter. Piggyback on Habit # 5 and set up a mail system that will keep the mail from piling up and stressing you out. Dealing with paper clutter as you get it takes seconds. Dealing with paper clutter after it has built up can take hours or even days. Keep it simple so you don’t get overwhelmed. Habit #9 Household daily goals. Each day I have a list of 5-6 things that I need to get done to keep my home from getting out of hand. These are the bare minimum things that need my attention and really take just a few minutes to complete. For me, I like to do my household daily goals first thing in the morning. It is just another step that helps to set me up for a stress-free day. Your list will not be the same as mine and the time you do may differ as well. Either way, having a list of daily goals will keep you from getting overwhelmed. Again if this is too much for right now, rather than cleaning out an entire household as your goal, you can do just a room. 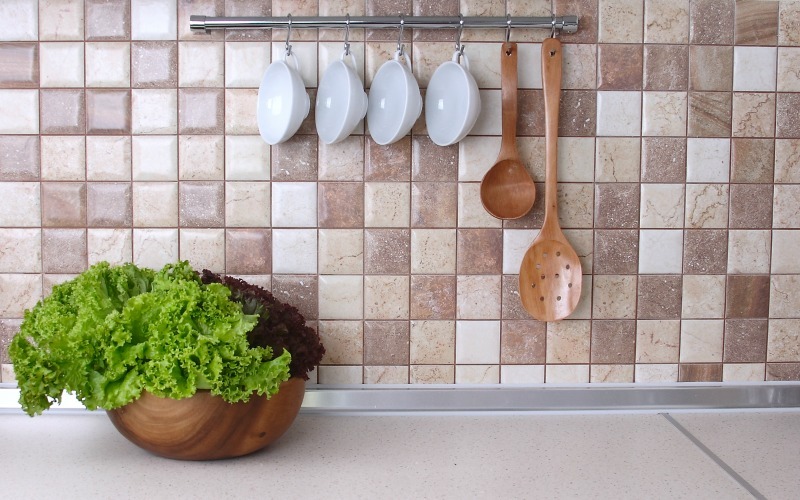 Daily kitchen goals might be a great place to start and as your home starts to evolve you can tweak this list to evolve with it. I cannot stress enough the importance of a good solid morning and evening routine. Not only will a morning routine set you up for a good day ahead, but an evening routine will ensure that you get a good and restful nights sleep. These two ingredients are key for a clutter-free home and life. Habits are a funny thing. They are so simple, so small on their own but when you clump a few together they can completely change everything. By adopting these habits of a clutter-free home you will learn to see your home and your things in a different light. As you do the clutter will slowly and magically disappear and leave you with the home of your dreams. Do you have any habits of a clutter free home that is not listed? Please share and help us all to clear out the mess! Good article Tracy! I am working to declutter, but it’s not easy 🙂 Thanks for the tips and the decluttering starter kit! You are so welcome Janet! This information is really helpful for me. This is the main thing required to me. I am really doing hard work on declutter. I hope you will continue to share with us this type of information in future as well. Once again THANK YOU for the TIPS. I am glad you found these tips helpful and I wish you all the best as you continue clearing out the clutter. Just keep going until you get there, one item at a time!! 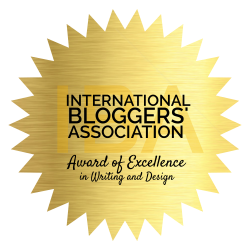 I love your blog and I’m always pinning your posts. I would love to see you add a vertical Pinterest friendly image to each post! Keep up the great work. Yes, I have a tool that should bring a pinnable image up when you click the Pinterest blue button at the very top and the very bottom of each post. I do realize not everyone can use that button and I am currently working on another way!